Bangkok (Thailand) – April 1, 2018 (travelindex.com) – The Pacific Asia Travel Association (PATA) has appointed Mr. Trevor Weltman as Chief of Staff effective April 2, 2018. Reporting to PATA CEO Dr. Mario Hardy, he will be responsible for planning, managing, coordinating and executing the Association’s various activities. Mr. Weltman has over 10 years of experience in Asia between China, India, and Vietnam. Prior to PATA, he was the Director of Sales and Marketing for HR consulting firm Lee Hecht Harrison Vietnam, and was also the Chief Marketing Officer for Triip.me, a venture-backed impact travel company present in 98 countries and over 650 cities around the world. 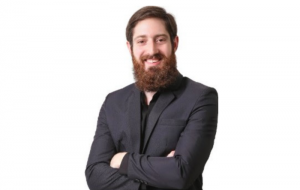 After receiving his degree in Asian Studies from the University of Michigan, Mr. Weltman began his career at Google where he worked as an Account Strategist and mindset and management trainer. In addition to sales and marketing, he has over eight years of training experience, having led courses in marketing, personal development and meditation around the world in both Mandarin and English. He currently lives with his wife and two children in Vietnam and will relocate to Thailand in September this year.